"An extra super special bonus costume! 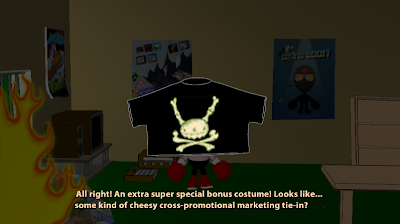 If you achieve the highest awesomeness ranking in Strong Badia the Free, you win the Max Crossbones shirt. Strong Bad remarks that it "looks like some kind of cheesy cross-promotional marketing tie in".